Какой мультфильм был лучшим в СССР? It was a Saturday morning tradition in my youth. My sister and I would awake early, run to the couch, and sit there for hours in our pajamas watching cartoons. What a relief for our parents! We were quiet, and they could sleep in. :) My favorite was "The Smurfs." These blue creatures were always on some spooky adventure, and I loved it. There was mystery, humor, intrigue, and even a female vixen who constantly distracted the male Smurfs. Feminists hate this imaginary blue seductress, and they created a popular theory called "The Smurfette Principle," which criticizes the way females are typically portrayed in cartoons. You can read about it here. To some extent I agree. I strongly dislike the classic Disney princess stories, where the helpless female is sitting around waiting for an imaginary prince to rescue her. Modern day Disney cartoons are much better, and the idea of a "princess" has evolved to include not only a beautiful woman, but a smart one also, with strong, charismatic personality traits. What's your favorite Soviet cartoon? Их слишком много самых разных, чтоб что-то выделять. Но я больше любил рисованные. И с юмором, чтоб. Вот например "Остров Сокровищ". Thanks, Olga! This seems to be a favorite among many readers. What cartoons does your granddaughter watch? One of the best)) But it will be difficult to understand for foreigners maybe. I like song from this cartoon. Incredible voice. I love the line when the boy asks his mom:"When my brother grew up,get married then die, do I have to marry my brother's wife?" and his mom is like: "Why do you think so?" And the boy says:"Well, I'm always wearing his old pj-s, skates, bike....and everything else..."
Very funny line! It's so amusing the things that come out of kids' mouths! :)) My nephew constantly amazes me with his logic and strange questions. Best soviet cartoon series is Ну Погоди ! Line Tom and Jerry but wolf and hare instead. Also I dont think it was so many silent cartoons. Yes, I've seen it. I think it's definitely one of the most popular and well-known. Cool, thanks! It's amazing to see how animation has changed over time. However, theanimation progress in Russia hasn't yet caught up to the rest. Nu pogodi (have no idea what is it in English) is the best. 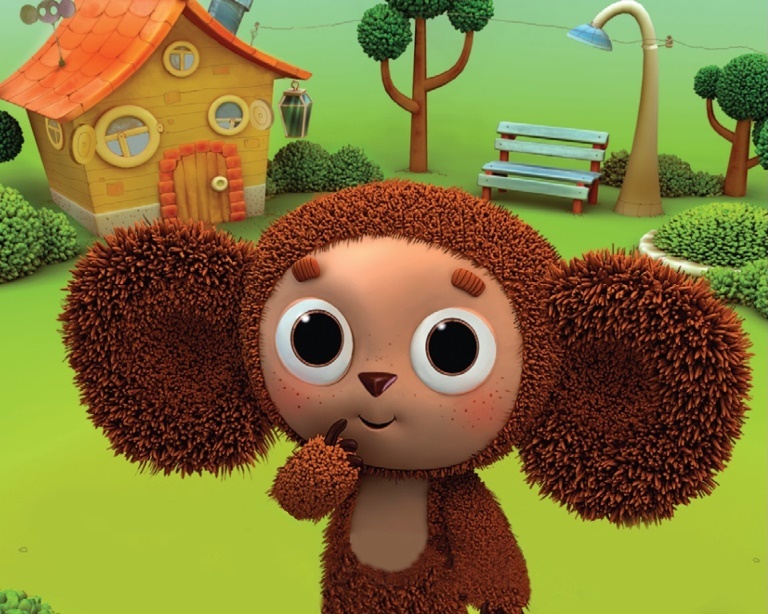 Most of the Russian cartoons are not silent. What do your kids watch? Russian or Western cartoons? Modern -Машенька и Медведь... and Масяня. The best things in Soviet cartoons were, probably, music and songs. Like this one, about musicians from Bremen, which I also had on vinyl, and could listen to it all day long when I was little. There was a strong female character - Alice Seleznyova, from books by Kyr Bulychev and cartoon "Mystery of the third planet". She was a badass schoolgirl from future, who is often times smarter and wiser than her dad, a famous cosmozoologist, and his scientist buddies. I have a question for you - What's your favorite American cartoon?